Editor’s note: Navy Times is introducing a periodic humor column by one of your active-duty shipmates. The writer is an active-duty sailor who writes under the pseudonym Jack Quarterman and also writes a Navy humor blog at Sea Stories and Other Lies. He is not employed by Navy Times and the views expressed here do not necessarily represent those of Military Times or its editorial staff. Recently the Navy Times reported that paternity leave (AKA baby leave) might be increasing from 10 to 21 days. This means that soon I’m going to be getting three whole weeks of free leave when my wife gives birth to my next child. That’s right, three weeks of relaxation away from the ship. Three weeks without duty days, sleeping in and just having fun. Hey, stop laughing, at least let me enjoy the thought. This is the secret they never tell you: baby leave is not really leave. It’s work, a lot of very hard work. It turns out that raising children is hard, and paternity leave is not so much leave as it is me filling in at a job I am not qualified to do. Would this happen in any other situation? If my wife was a brain surgeon would they have me fill in for three weeks while she rests? Of course not, a brain surgeon is far too intelligent to be married to a career sailor. But you know what I’m saying, in the Navy you can’t change a light bulb without 100 signatures on a 12 page qualification standard, and yet somehow I am qualified to take care of young human lives because I am their father. 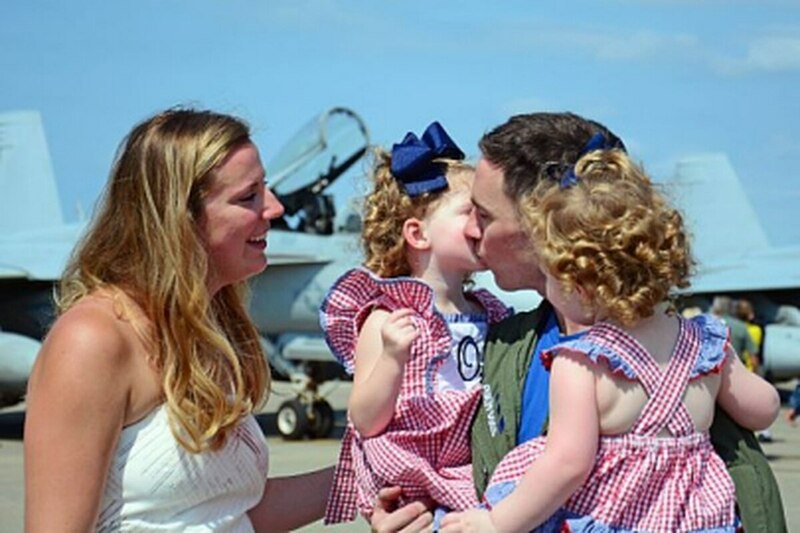 When my oldest child was born, the Navy gave me seven days of baby leave. It was great. Sure, it wasn’t all fun. I was routinely interrupted from playing video games by my wife wanting to eat meals (turns out she needs at least three a day). But after eating, my wife and daughter spent most of the day sleeping and I spent the day doing whatever I wanted: watching TV, playing Grand Theft Auto V, drinking beer, etc. It was the magic of childbirth. A few years later when my second child was born, paternity leave had increased to 10 days, but instead of three more days of beer and video games, I had work to do. It turns out that while mommy and the new baby are sleeping all day, the other child needs to be fed, changed, and (this is very important) kept alive. This last part is the hardest. For some reason children, just gravitate toward the most dangerous things around. I have sailed ships through war zones. I have conducted interdiction boardings on suspicious boats in the Middle East. I have guarded millions of dollars’ worth of weapons and government property. None of that was as difficult as keeping my daughter safe for those 10 days. While sailing into hostile waters you may encounter enemy action; while standing a sentry watch you could be required to use deadly force. All of that is possible, but it is also very likely that nothing will happen at all. When you are watching a 2-year-old, however, she will try to get herself killed… a lot. During my 10 days “off,” I saved her from falling down the stairs, electrocuting herself, getting into the kitchen knives (which were in safely locked drawers that even I couldn’t figure out how to open), drinking household cleaner, and from the pets, who had reached the limit of tolerance at having their tails pulled. All this I accomplished daily about 475 times, before breakfast (which also turns out to be more complicated than giving her a box of cereal). During baby leave I also did my Christmas shopping. This is my advice to anyone going Christmas shopping with a 2-year-old: don’t. You would be far better off getting divorced for not getting your wife a Christmas gift, than having her kill you when you lose your child at the mall. Just for the record, I didn’t lose my child in a busy mall during Christmas time, and I will swear to that fact in a court of law. So I’m a bit skeptical of having 21 days of baby leave. I’m not sure I can handle it. After 10 days with a 2-year-old, I needed a six-month deployment to recover. Now I have three children. The oldest has gotten a bit better. On the upside, I don’t have to save her life every five minutes. On the downside, she is more than willing to help my 1-year-old daughter as she discovers which metal objects fit into the electric sockets (it turns out car keys fit perfectly). Maybe instead of 21 days of baby leave the Navy can give me 21 days of babysitter leave, where they send a babysitter to my house and send me TAD to something easier like cleaning up nuclear waste or mess cranking.